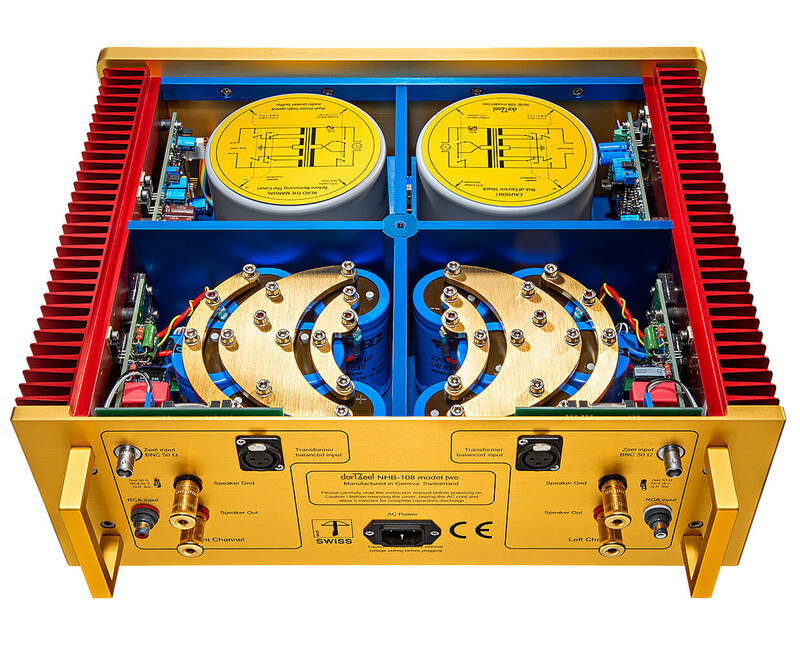 The NHB-108 is the ultimate dual-mono amplifier. Get ready for an audio experience that you've «Never Heard Before». 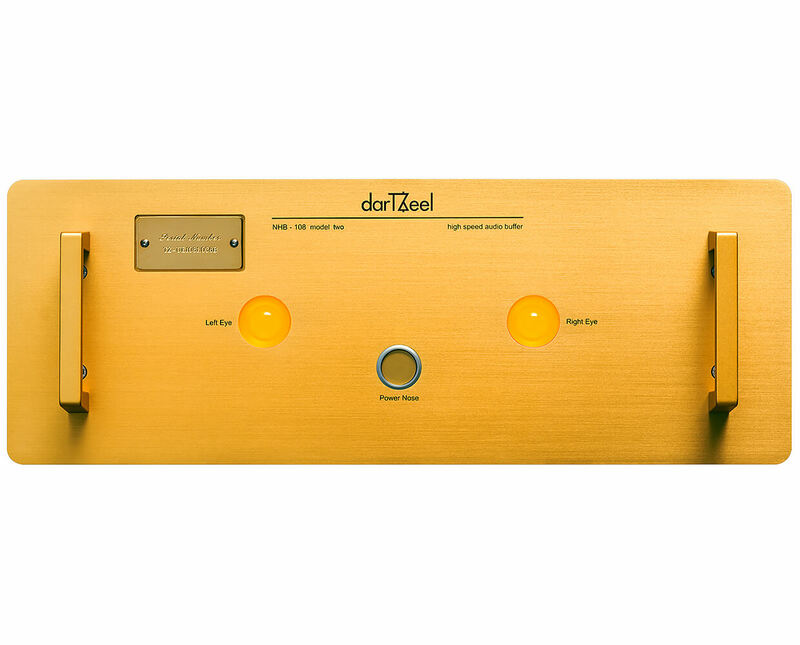 The NHB-108 was the first power amplifier designed and built by darTZeel. 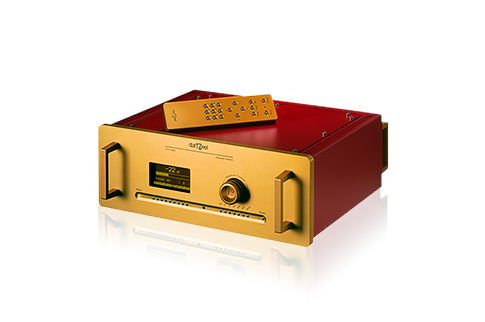 The NHB-108 has earned legendary status among critics and music lovers alike. 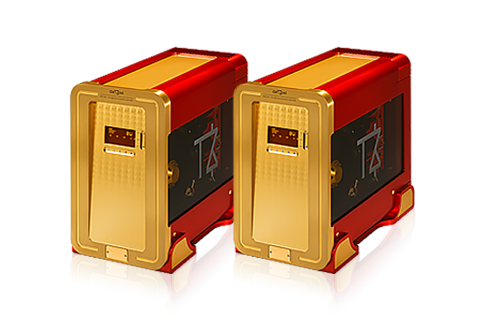 Its immediate success and multiple awards helped to quickly establish darTZeel in the premium market. 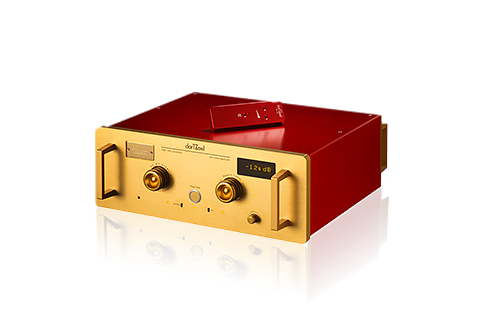 Regularly updated over a number of years and now reinvented in a «model two» version, this ultra-rapid, dual-mono amplifier is the high-end offering in the NHB series. 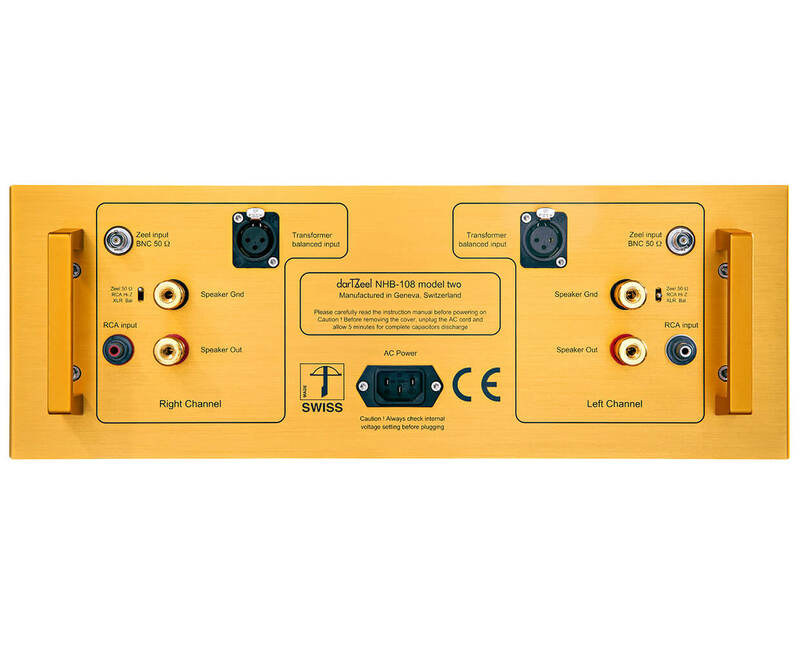 With power output of 150 watts per channel and its circuits patented worldwide that prevent global negative feedback, the NHB-108 model two connects effortlessly with any type of speaker, unleashing its full magic and capability. 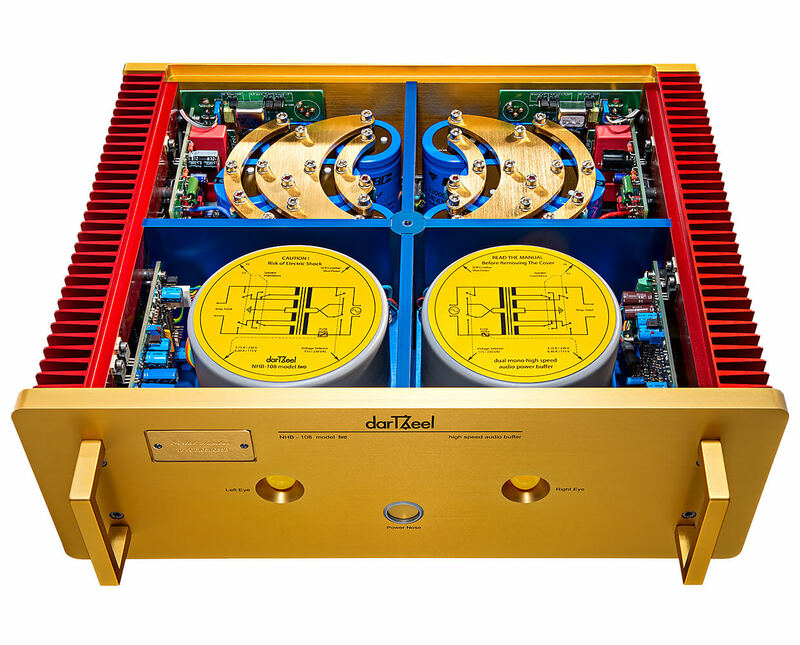 With two power supplies, two transformers, two audio circuits, and two coolers, the darTZeel model two is very much a dual-mono power amplifier in every respect. 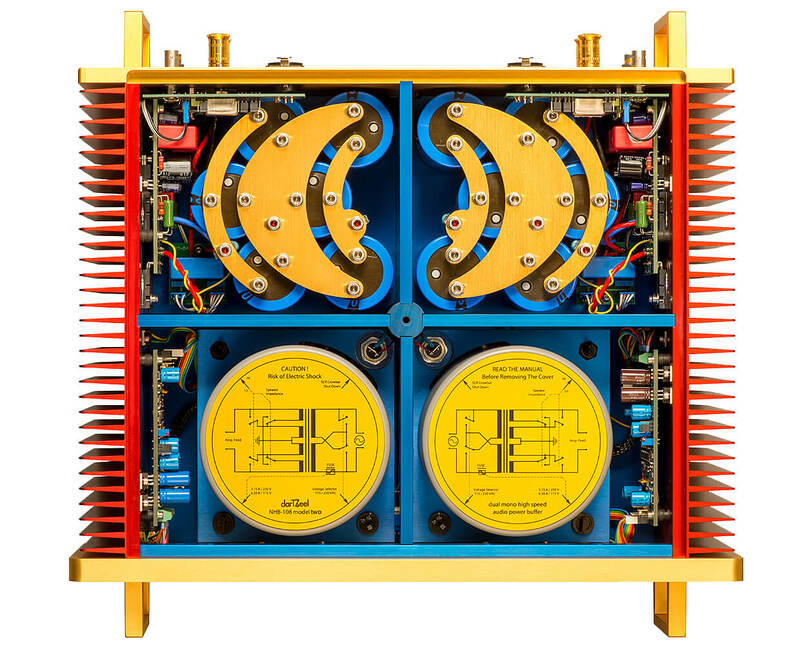 The power supply cord is the only sign that everything is housed within the one chassis. The NHB-108 is the culmination of two decades of research and development. Hervé Delétraz meticulously explored the possibilities for reproducing music in all its emotional richness and splendour. 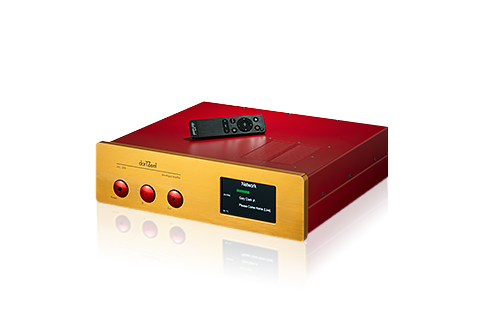 The end product is an electronic audio circuit that has been greatly trimmed back to offer exceptional simplicity, which no one before thought possible. Hervé Delétraz holds the patents that have made development of the NHB-108 possible. His universal circuit diagram forms the basis for all our products, before applying the little touches that make a darTZeel. In the relentless pursuit of perfection, everything must be considered down to the slightest detail. 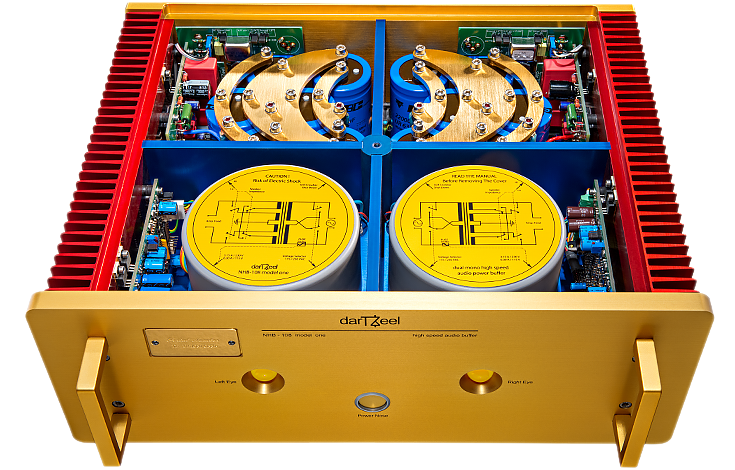 darTZeel amplifiers delight not only in terms of how they sound, but also how they look and feel. 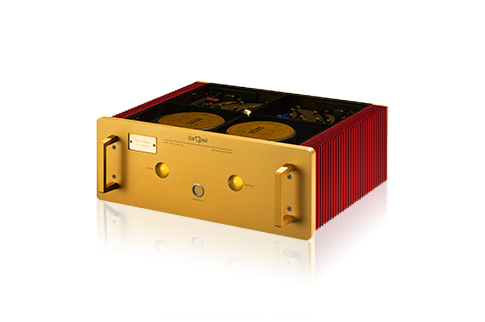 Through its toughened mineral glass panel, one can admire the fine-brushed, crescent-shaped bus bars made from 24-carat gold and the carefully partitioned internal layout that gives this exceptional amplifier its unique character.